We have three authorized ParkerStore locations to help you get your new hydraulic components as quickly as possible. Because we have over 3,000 different items in stock, chances are good that we will have just what you need. If we don’t have your parts in stock, we can special order them. Stop in at the store closest to you, or call us out to your workplace to perform a repair on site. We offer 24-hour HoseDoctor and Field Repair Service for this very purpose. While hoses are probably the easiest hydraulic component to repair or replace, we can handle more difficult tasks just as well. 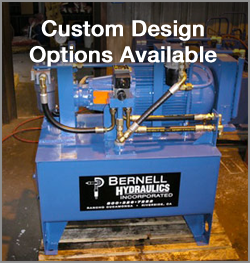 We’ve been in the hydraulics parts and service business for over 30 years, and we know our way around Parker components. Parker hydraulic components San Francisco CA deliver superior quality and performance in a well-made, brilliantly engineered package. As a leader in the hydraulics industry, Parker has been making innovative and durable parts for over 100 years and you won’t regret choosing this trusted brand.